The GFCTS has completed many activities over the years that contribute to the betterment of our local trail network. Scroll down to see the full list by year. 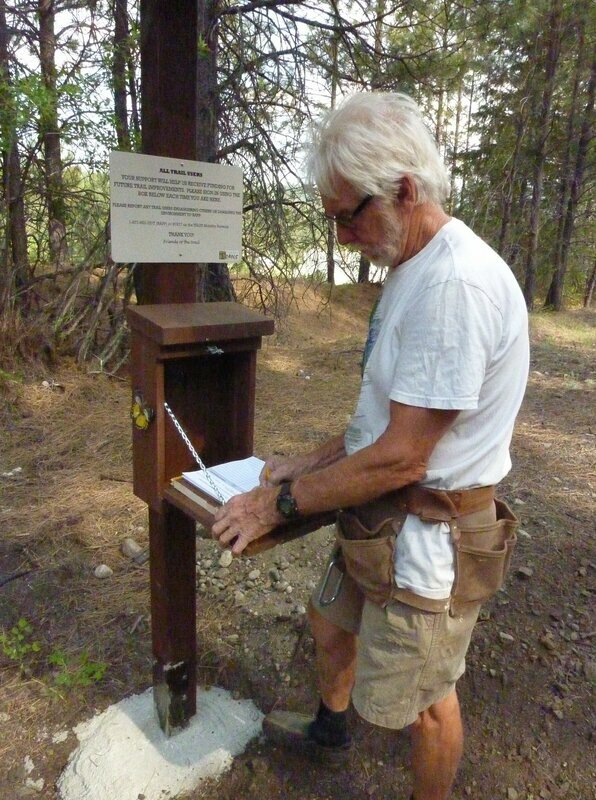 John Grandy installs the sign-in box on the Trans-Canada Trail in Summer 2018. 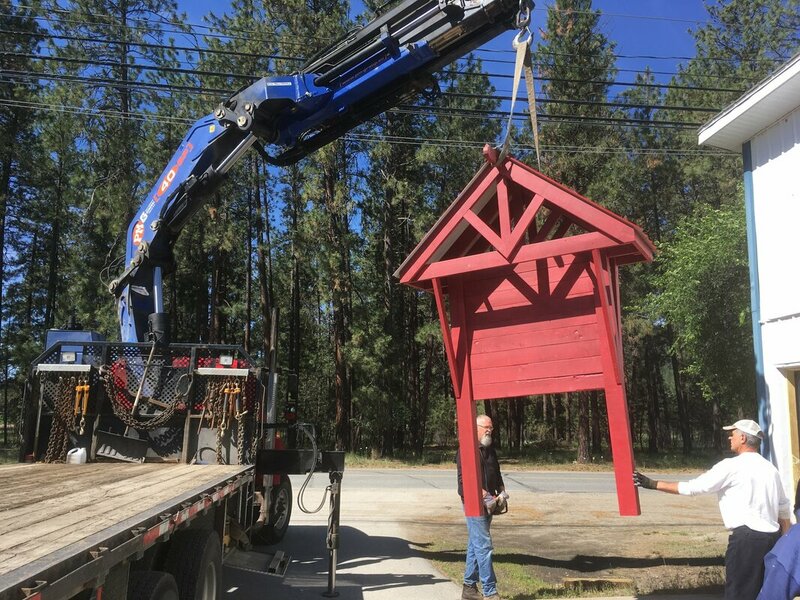 Boundary Woodworkers Guild members volunteered their time to build two kiosks in Summer 2018, which were installed on the Kettle River Heritage Trail. Using a gas tax grant from the RDKB, the Society hired a local contractor to upgrade and widen the North Fork section of the Trans-Canada Trail in Fall 2018. 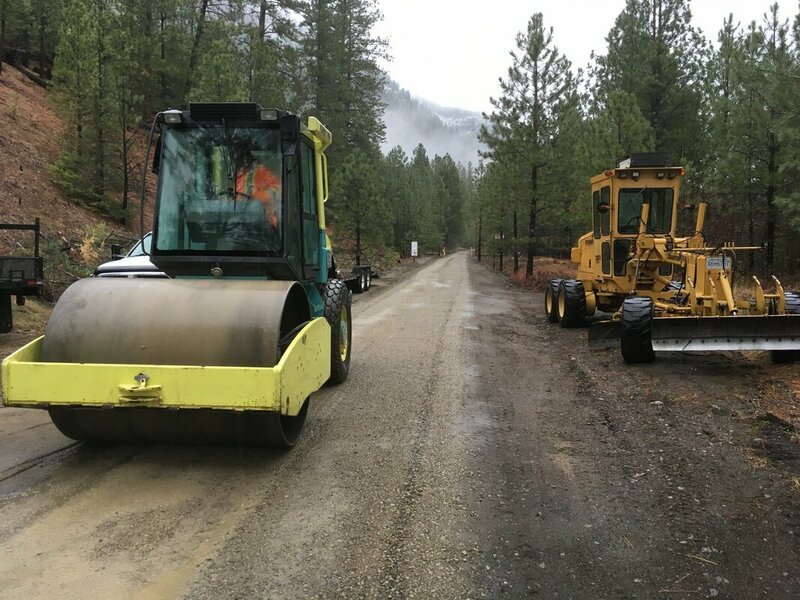 In May 2017 we celebrated the opening of the first 2.2 kms of the North Fork section of the Trans Canada Trail (TCT), running from North Fork Road to Eagle Ridge Road, funded through a gas tax from the Regional District of Kootenay-Boundary. August 20176 saw the official opening of the Kettle River Heritage Trail. The first portion is paved from Rockwool Trail parking lot to Whitehall Road, opening the trail to users in wheelchairs and strollers. The rest of the trail is crushed gravel to Christina Lake, providing a level surface for cyclists and walkers. 19 May 2016: Renewal of Partnership Agreement with Recreation Sites and Trails BC (Province of BC) to manage and maintain the trail network around Grand Forks for five-year term. 31 March 2014: Creation of two-year Partnership Agreement with Recreation Sites and Trails BC (Province of BC) to manage and maintain the trail network around Grand Forks. March 2014: Creation of "Vision Trail Map" for Grand Forks. 29 April 2013: Together with the Grand Forks ATV Club, facilitated the Boundary Trails Agreement between trail users including equestrians, snowmobilers, cross-country skiers, and mountain bikers. 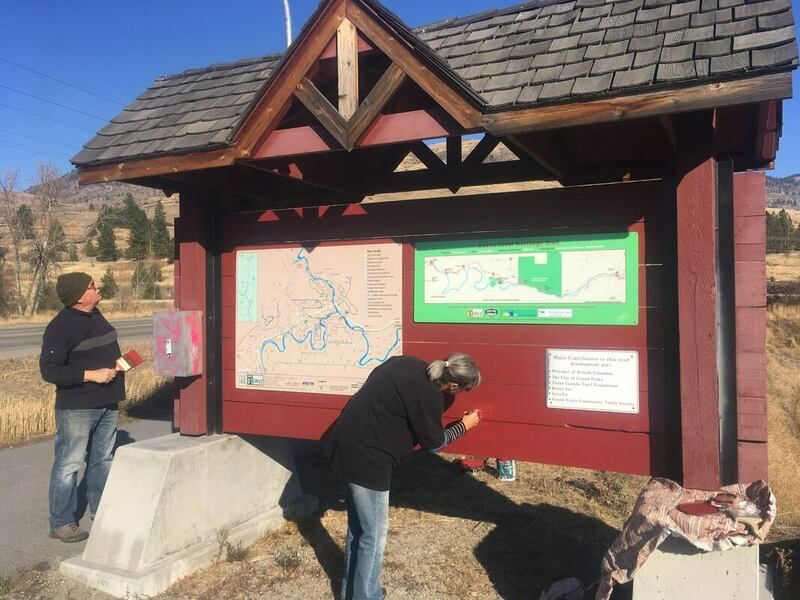 Completion of the engineering and design for the entire Kettle River Heritage Trail project. Total value: $56,000. Trans Canada Trail repairs and upgrades funded through Ministry of Forests, Lands, and Natural Resource Operations, in cooperation with the GFCTS, over the last 10 years. Estimated value: $5,000,000. Much of the labour generously supplied by local contractors and workers. Construction of the trail head parking lost and kiosk at the 86th Avenue bridge. Partners: City of Grand Forks, Roxul (Rockwool). Total value: $27,000. Nov. 2012: Creation of plan for paving upgrade to the TCT, the Grand Forks to Cascade section, of the Kettle River Heritage Trail. Plaza development on TCT at Kettle River Drive, kiosk, toolshed refurbished, benches and signage along the TCT from Hwy 3 to Kettle River Drive. Partners: TCT Foundation, Boundary Woodworkers. Total value: $50,000. GFCTS advocated and supported the City of Grand Forks as it embarked on trail, sidewalk, and drainage development with a Local Motion Grant of $720,000 from the Government of BC and Recreational Infrastructure Grant from the Federal Government of $721,000 and the City of Grand Forks contribution of $721,000. Total value: $2,163,000. Installation of Bantam Marker in City Park alongside the paved trail. Partners: TCT Foundation, City of Grand Forks. Fall 2007: Website developed with Netfirms. Total value: $1,200. 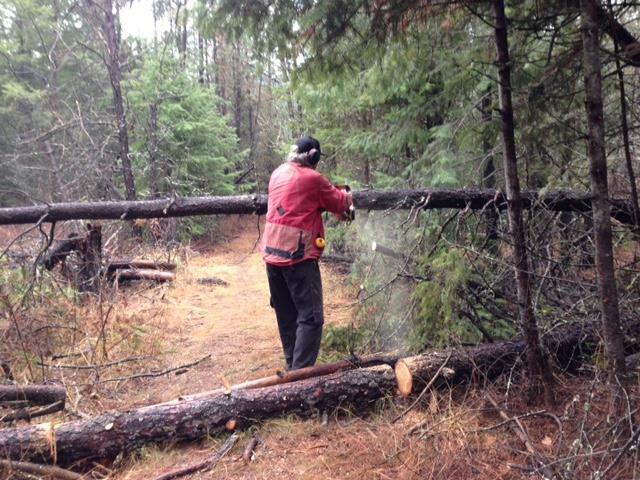 Ongoing maintenance of trail network, promotion and trails, and recruitment of volunteers, members, and supporters. Spring 2005: Creation of first Grand Forks Trails booklet. Partners: Rosemary Phillips, Grand Forks Printing, Boundary Mapping. Total value: about $5,000. 9 May 2001: Incorporation of the Grand Forks Community Trails Society. Founding members: Christine Luke, Sandy Shilling, Angela Gibson, Jean Johnson, Jim Glanville. Summer 2001: TCT through City Park surfaced under a "Go for Green" grant. Partners: City of Grand Forks, Trails BC, TCT Foundation, Province of BC. Total value: $50,000.